We’d love your help. 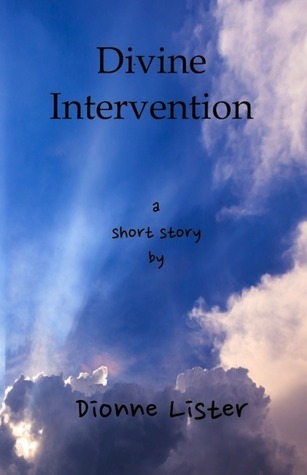 Let us know what’s wrong with this preview of Divine Intervention by Dionne Lister. Maria's life is falling apart. She thinks it's almost a sign from God when an opportunity comes her way. But this opportunity is not as simple as it seems. What choice will she make? To ask other readers questions about Divine Intervention, please sign up. Many times do we have to make a difficult decision in life that threatens to disrupt every moral fiber of our being. Divine Intervention is a story that touches on a dilemma many people face when they fall on hard times. The main character, Maria, is a poor maid for a wealthy family. The family members don't seem to appreciate the money, material, and quality of life they have. This is something I've seen in life before and I was able to sympathize with Maria's point of view. When faced with a tou Many times do we have to make a difficult decision in life that threatens to disrupt every moral fiber of our being. Divine Intervention is a story that touches on a dilemma many people face when they fall on hard times. When faced with a tough decision (won't name it to avoid spoiling anything), Maria makes it hard for me to see a straightforward answer, as well. I don't know what I'd do in her situation. I feel that this added a lot to the story. It wasn't only about what Maria was going through. It brings the reader into the story, putting him or her IN Maria's shoes. Ok, you get it. Maria has a tough decision to make. There's more to the story, as well. I wasn't expecting the story to end like it did, either. And even when I thought I predicted the ways it could go as events unfolded, I still wasn't right. I always enjoy an ending that stumped me. Being surprised by it left me smiling in the end...but I won't tell you why. I worried after reading the description that the story would be overly religious in nature. I was wrong and very glad for it. Author Dionne Lister presents a stirring social commentary and message on the state of a stratified world. The greed of some and the great need of others is startling. You will understand something deep about the world for reading, no matter what your political persuasion. Easily one of the best short stories I've read this year. The author weaves a tale of human natur, that will make you feel the emotional pain and hard choice the character makes. This short story provides a glimpse into the world of a young maid who works for ungrateful rich folk. She finds herself in a dilemma over what to do when she finds something. The outcome is unexpected but satisfying. A well written, engaging, complete little story that left me with a smile on my face.